Students signed a commemorative poster with the program’s rallying cry ‘I learn, I lead, IYLEP’ to mark the beginning of an exciting program. 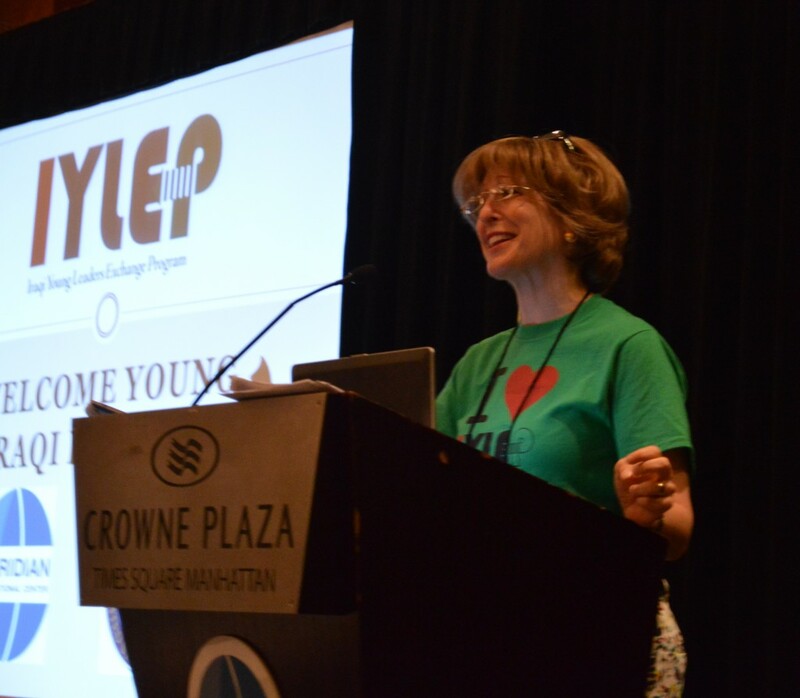 This was the rallying cry at the opening conference for IYLEP 2014 last weekend in New York City. 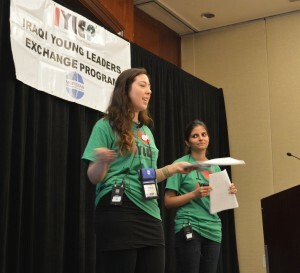 IYLEP, which stands for the Iraqi Young Leaders Exchange Program, is an intercultural and educational exchange initiative funded by the U.S. Embassy-Baghdad and administered by Meridian International Center for the sixth consecutive year. While the students will spend most of the program in the U.S. at five American universities focusing on varying institute themes, New York City provided the perfect venue for the participants’ first weekend in the United States. Ball State University and Entrepreneurship & Community Development. These diverse institutions and themes are holding a diverse group of students; this year brought 114 Iraqi undergrads to the United States. The students, who hail from all 18 provinces of Iraq, exemplify diversity in all its forms: linguistic, political, academic, religious, and ethnic. 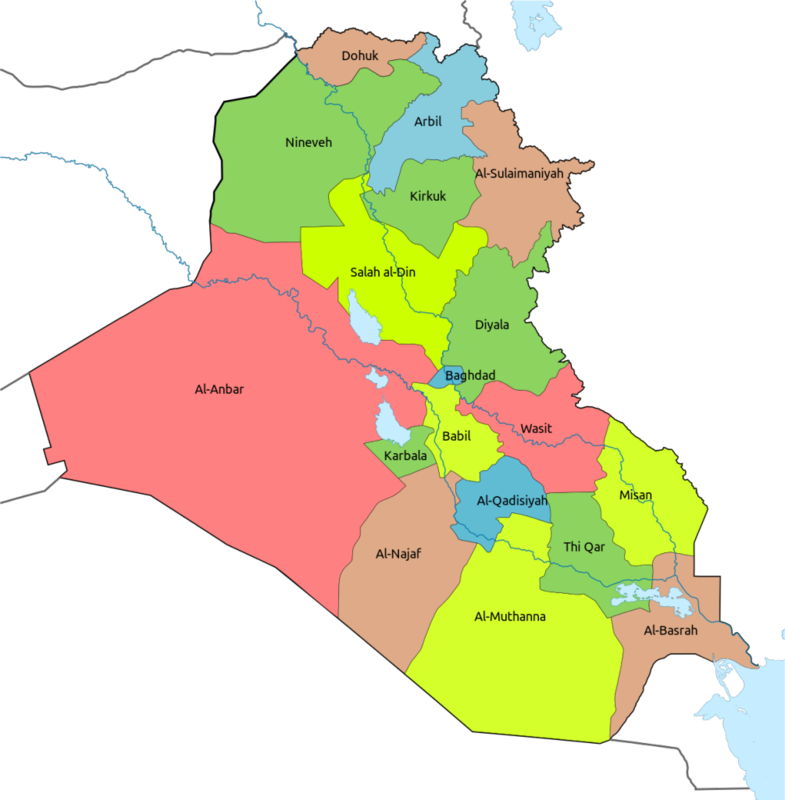 Political map of Iraq, showing all 18 provinces where the IYLEP students are from. They range in age from 18 to 25, represent a 55:45 female to male ratio, and study a variety of different subjects ranging from medicine to government to English language & literature. Despite all differences, all students were accepted to the program due to their academic prowess, capabilities as a leader, and passion for the specific subjects. Despite thousands of miles of international travel and the effects of jet lag, the participants arrived in the city on Saturday night ready to explore and experience all New York has to offer. Bonnie Glick, Senior Vice President, GlobalConnect at Meridian International Center. Programming officially began on Sunday morning with a brief program orientation and overview from Meridian staff, including welcoming statements from the Senior Vice President of GlobalConnect division, Bonnie Glick. Students were then given a brief overview on American culture and politics from Meridian staff member Graham Cornwell, who discussed everything from the Bill of Rights to American sports. George Washington University’s Timothy Kane was the next presenter. His interactive and thought-provoking diversity workshop was the highlight of the weekend in many participants’ minds, thanks to his enthusiasm and subject matter. 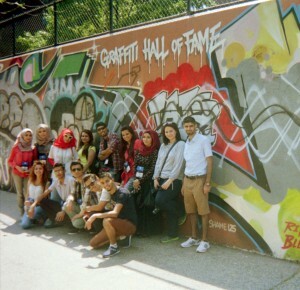 IYLEP students explore New York. With Kane’s words fresh in their minds, students and staff then set off to explore the city through cultural mini-tours. Using the diversity and cultural inclusion of New York City as the inspiration for the tours’ themes, students set off to different parts of the city to see the cultural diversity of New York in a new light. In Harlem, students learned new dance moves and took turns giving their thoughts on impromptu soapboxes. In South Street Seaport, a free outdoor Colombian concert inspired dancing alongside a spectacular view of the Brooklyn Bridge. The Urban Art group not only got to witness some of the best examples of graffiti in the city, but also a Latin drum circle in Central Park. For the group wandering through Little Italy and Chinatown, the gastronomic delights found throughout the neighborhood were among the main attractions. Students participating in the American History mini-tour also saw Ground Zero and saw how it has become a gathering place for Americans and foreigners alike. Timothy Kane of George Washington University speaks to IYLEP students. The second day of programming used the experiences–through sight, smell, taste, feel, and sound–of the first day to springboard into the second part of Timothy Kane’s segment on diversity. His central message was one of inspiring leadership: “A true leader,” according to Kane, “is one that serves first and leads second”. Page Terlizzi, Senior Program Associate and Hajira Khan, Atlas Corps Fellow, address IYLEP students. 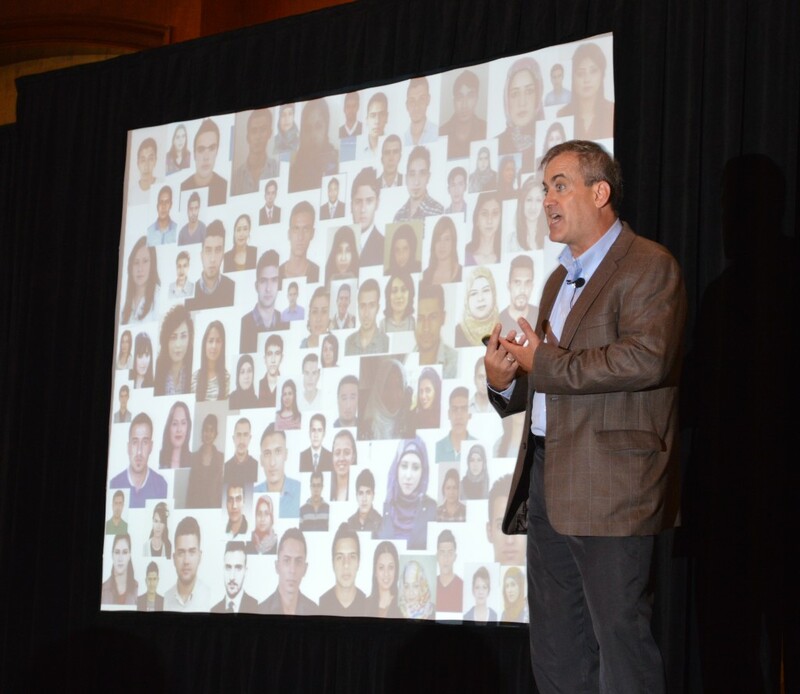 His final words on leadership were the perfect segue into the Advanced Leadership Development training, led by Hajira Khan and Page Terlizzi of Meridian. Students were instructed to use an introspective journey to discover the events in their lives that inspired the values, skills, and strengths they hold today. The training will culminate in a final leadership statement at the end of the program that will help students understand their own individual leadership style. Monday night ended in nautical style. All students and staff were treated to a boat tour of the New York City Harbor, with sights ranging from the World Trade Center building to the Statue of Liberty to the underbelly of the Brooklyn Bridge. Seeing the many sights of New York City from a unique perspective was the perfect culmination to the opening weekend of IYLEP, a program connecting 114 Iraqi students who all have a unique and fresh perspective on the United States. Despite all their differences, each and every student participating in IYLEP 2014 has one thing in common: they are young Iraqi leaders, exploring the U.S. for the very first time. POST TAGS: Global Leadership, International Exchange, Iraq, IYLEP, U.S. Department of State.